On Dec. 8, the church celebrates the Solemnity of the Immaculate Conception. This feast was celebrated in some monasteries before the beginning of the eighth century and became widespread in the eighteenth century. The bishops commended the United States to the patronage of Mary under the title of the Immaculate Conception in 1846 (Essential Guide to Seasons and Saints, 120). Well before 1846, the little community of women being shepherded in the U.S. by Fr. Terence Donaghoe were called The Sisters of the Blessed Virgin because of his deep devotion to the Immaculate Conception. They would eventually be formally named the Sisters of Charity of the Blessed Virgin Mary. While BVMs celebrate well every feast dedicated to Mary, this mother of all Marian feasts is particularly meaningful as it is the day when we devotionally renew our religious vows. 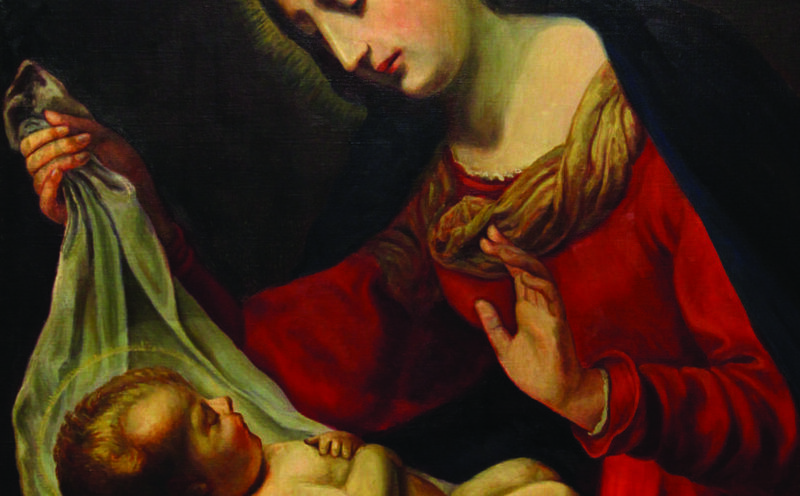 Annually, we restate our commitment to God, to the BVM mission and to one another. we are women who have been touched by God’s steadfast love. faithfulness to God’s people, especially the poor. as Sisters of Charity of the Blessed Virgin Mary. lived in community with our sisters according to our Constitutions. will bring it to completion. Many years later, I would profess my own final vows on that same college campus where I experienced BVMs recommitting themselves to the BVM mission. Now, in my twenty-fifth year of living BVM religious life, I minister as a chaplain at a hospital founded by the Congregation of the Sisters of St. Agnes (CSA). Far from my own BVM Sisters, CSA have become my local community. I often join them for feast day celebrations. When I first celebrated Dec. 8 with them, my heart leapt for joy when they stood together to renew their own vows. While I renewed mine in the quiet of my heart, I celebrated our combined sisterhood. In 2018, as we celebrate this Solemnity of the Immaculate Conception, let us proclaim, “Hail Mary full of grace, blessed are you among women.” And, let us as sisters, associates and friends rejoice and say together, “Blessed are we among women!” Happy feast! Featured artwork by Helen (Paulita) Kerrigan, BVM.